Walker and I love a restaurant in Toronto called Tabule. It's middle eastern, healthy and delicious food! One of my favourite menu items there is the falafel salad with tahini. This recipe is inspired by that dish. As you might have noticed, this is a recipe in Eat Clean Body Lean our 21-day fitness & nutrition program that is now available! Combine all the burger ingredients into a food processor (or mash with a potato masher) and process until smooth. Divide burger mixture into 6 patties. Let sit in fridge for 1 hour as it helps the burgers to solidify. Cook on a greased fry pan on medium heat for 5 minutes each side or until outside is nicely golden. To make tahini sauce, place ingredients into a blender or food processor and blend until smooth. For the Portobello mushroom either grill or pan sear until warm. To serve, place burger on top of the portobello and drizzle with sauce! Makes 6 burgers. 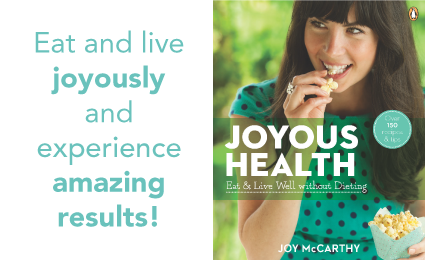 As always, share your creations with me on instagram or twitter @JoyousHealth hashtag #joyoushealth ! Have a joyous day! This look so YUMMY. I might try this out before I decide whether or not to do Eat Clean Body Lean. I'm a little worried about getting the meal plan & all the recipes will have an excessive amount of ingredients & i'll end up spending double on my grocery shopping. But this looks reasonable! These look amazing! Do these freeze well? I am wanting to make these just not sure if my husband and I will eat 6 patties. Thanks so much. Take care.